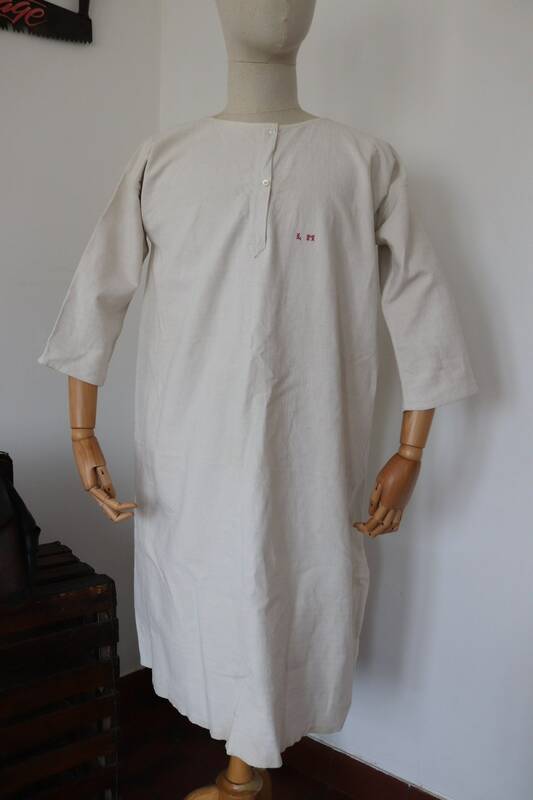 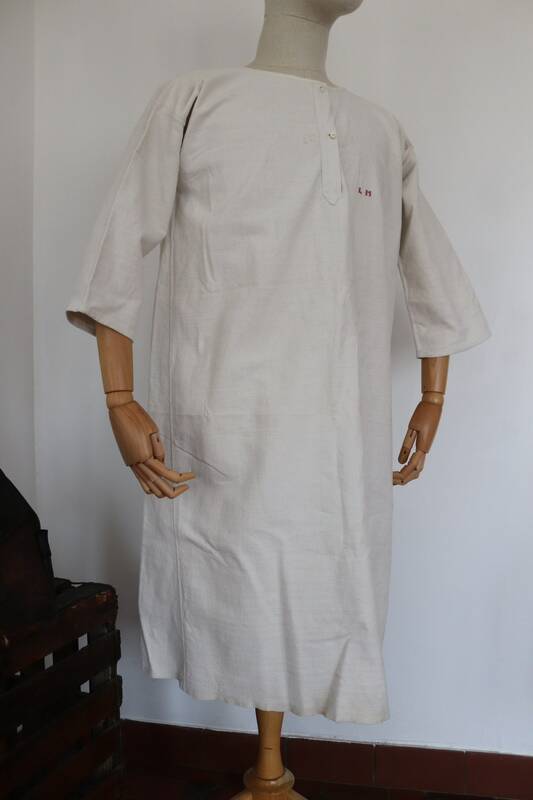 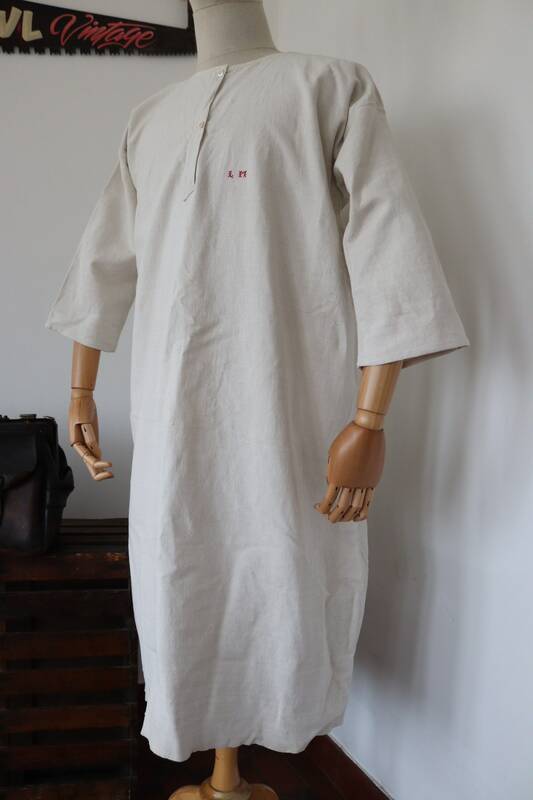 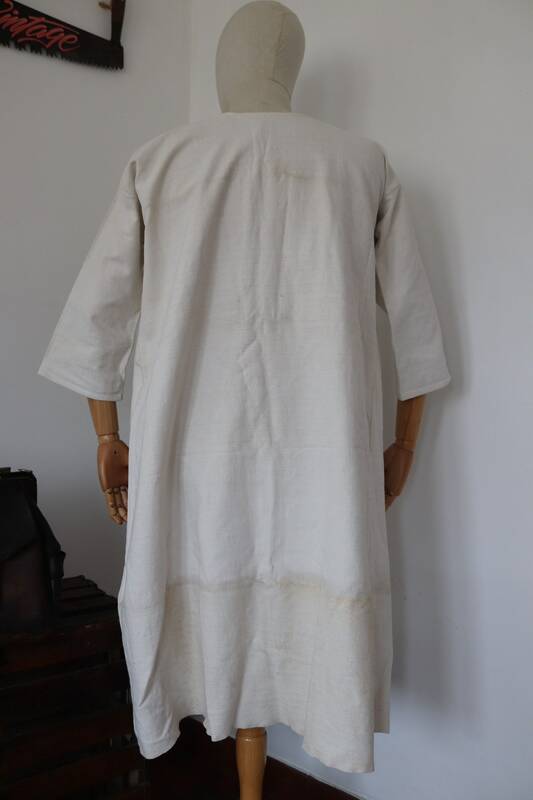 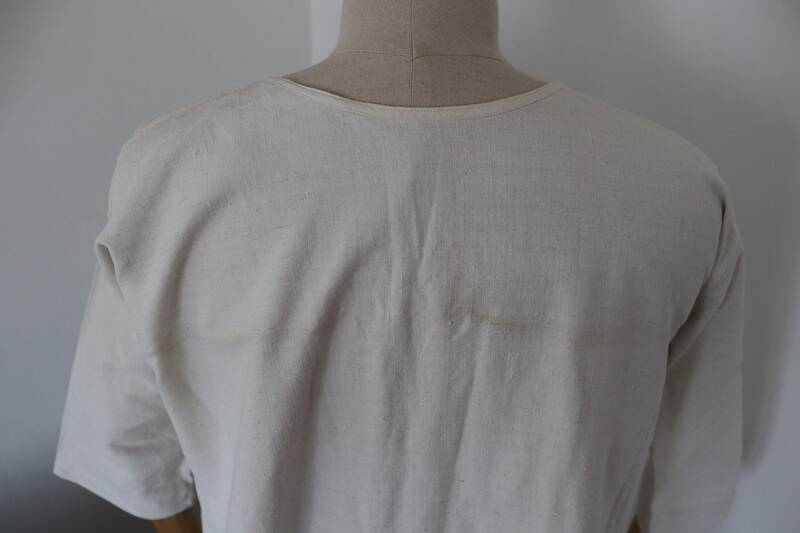 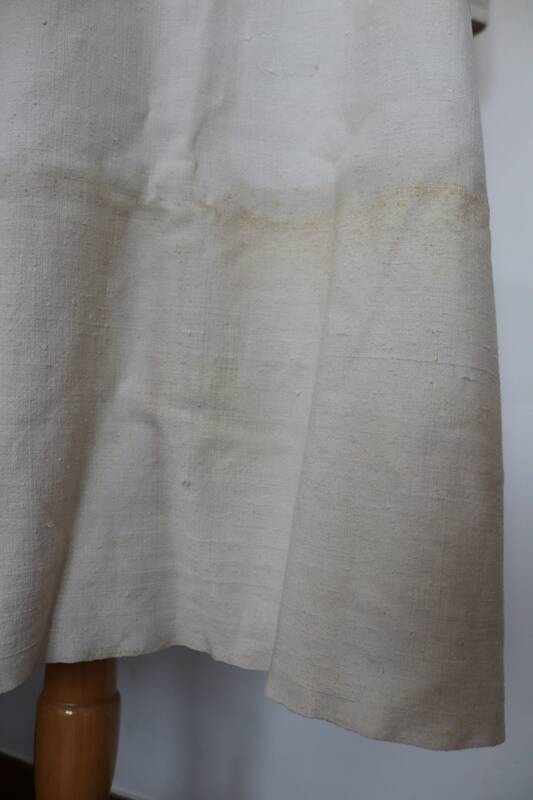 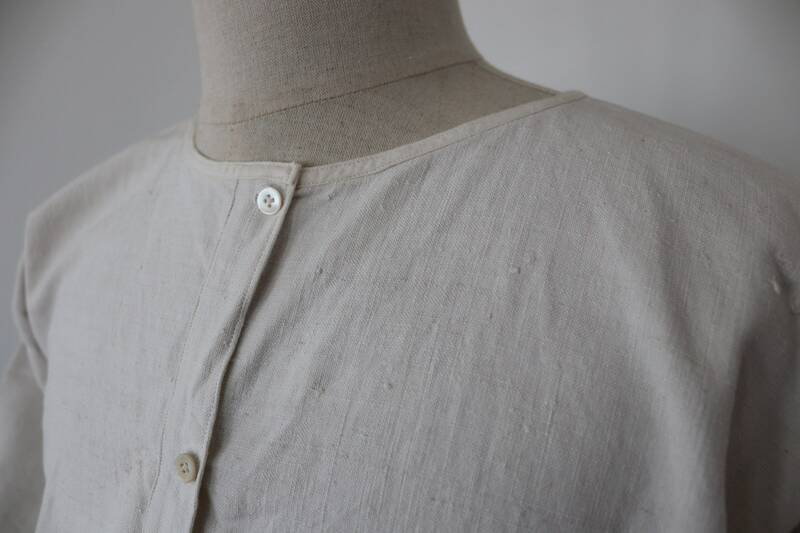 An off-white linen French nightgown dating from the early Twentieth century. 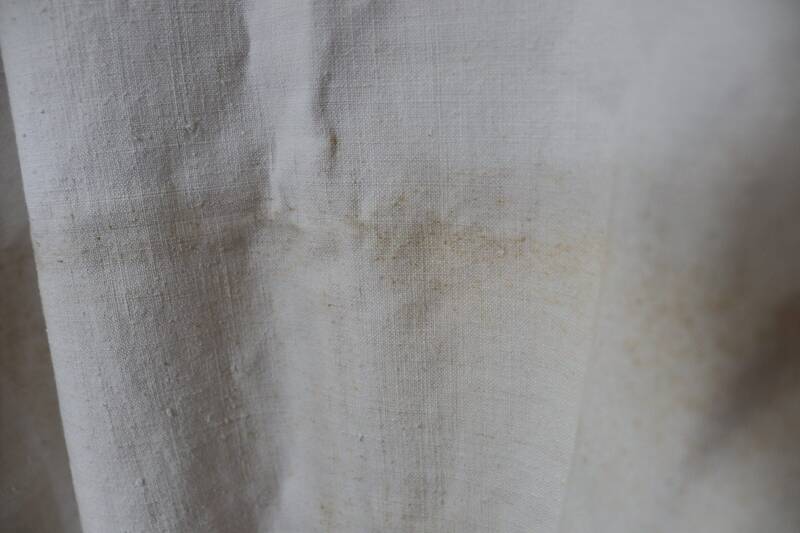 Noted flaws - some discolouration on the lower third of the gown - please see photos. 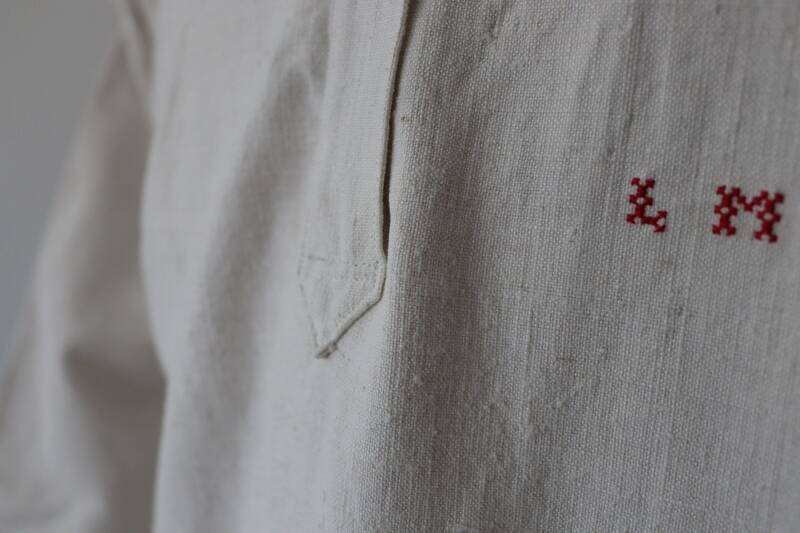 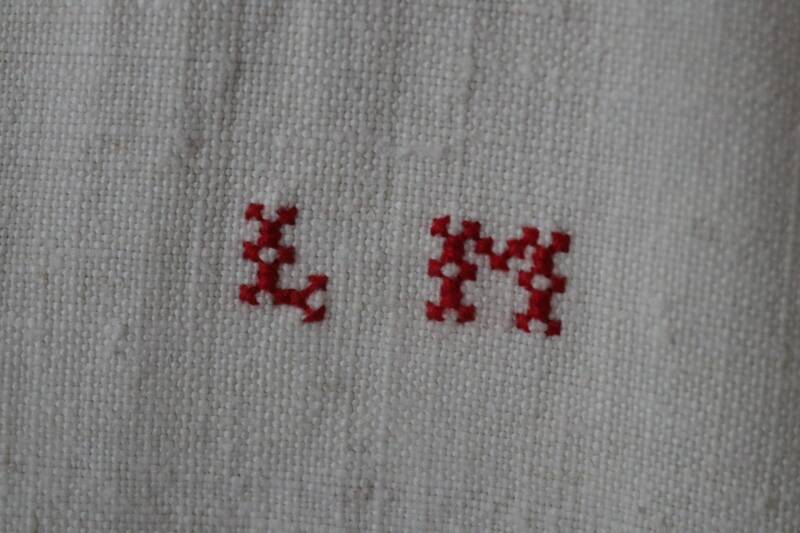 Excellent condition and quality otherwise, mother of pearl buttons at the collar, thick French linen, monogrammed in red, perfect for a dye project and could be work as a summer shirt dress.